Two and a half years behind barbed wire or working under armed sentries – nearly four thousand comrades in the lager cemetery – but the War is over today Thank God. Forty-five thousand Russian Comrades soldiers of the Tsar are prisoners since the Steamroller met Hindenberg in East Prussia. The Russian invasion of East Prussia in August 1914 was going well until German Generals Paul von Hindenburg and Eric Ludendorff took command. Ten thousand Frenchmen – captives from Maubeuge and Lille. A thousand British – Mons, the Somme and the March Offensive 1918. We know the Armistice begins today but there is little joy amongst the troops. Over the vast lager lies a cloud of foreboding. The sentries truculent yet hangdog – looking slouch at their posts. The Kommandanteur German Officers stand in knots every one of them armed to the teeth. In the underground cellars which serve as Barracks the prisoners of war discuss the situation with ill-concealed uneasiness. Today is peace on the Western Front but today is war in German Poland. The Regency Council with officers of the Polish armed forces. Last night came tidings of conscripted men of the German Navy and Polish sailors landing from a Zeppelin to organise a revolution in the town adjoining the lager. What part would be that of the prisoners, the prisoners’ wonder? On the ramparts and surrounding the camp machine guns stand post. Half the soldiers are Polish and the Tsar’s troops have sworn to help them. The French will break for the Austrian Frontier when the storm bursts – each man for himself and that devil help the hindmost or any German families in their way. “We’ll keep together mates,” says Jack the President of the British Welfare Committee he is a naval rating captured at Antwerp. Down the Hindenburg Strasser gallop two soldiers white bands around their arms. 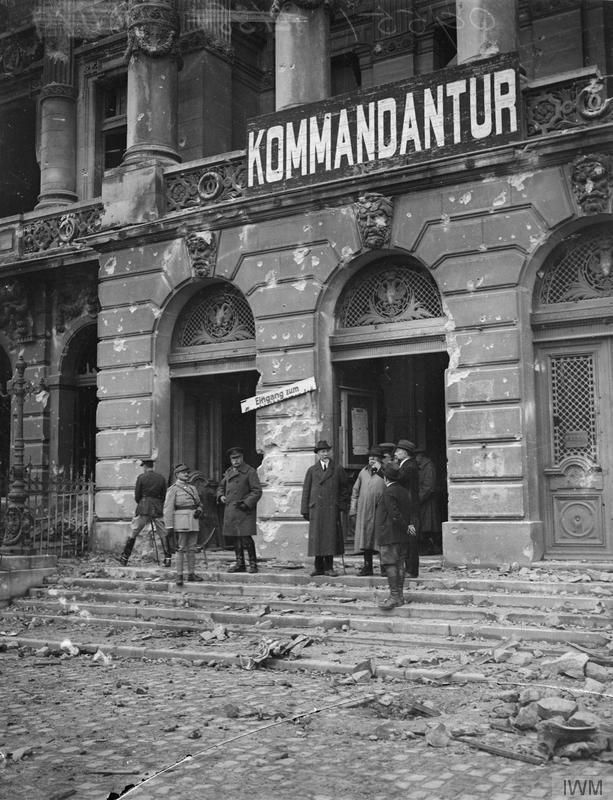 “Revolutionaries” – fifty thousand prisoners are pouring from their barracks – the sentries deserting their posts are making for the group of officers tearing the badges of Imperial Germany off as they run. Two foaming horses are pulled on their haunches, sharp commands barked, – an Officer draws his sword – down he goes on a saw-edged bayonet through his chest. Oberst Lieutenant Baron van Wacholz, Commandant of Sprottau breaks his sword across his knee – the Officers are disarmed, stripped of their badges, bustled and roughly handled. Ten thousand madly dancing Frenchman are singing the ‘Marseilles’, forty thousand Russians ‘God the Terrible‘ and from a thousand British throats comes ‘The Home Fires‘. Marching to the British Camp, the Council of Soldiers and Workers “Brother English we come to proclaim a New World” says the leader. A Bantam shouts “Are we downhearted?” A thousand British throats answer “No”. 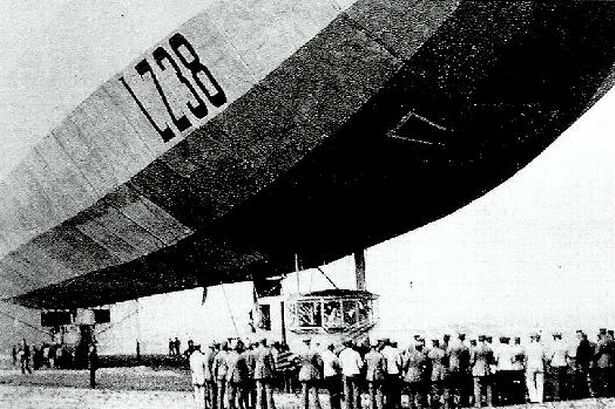 Steamroller met Hindenberg in East Prussia. Next Post The Soldier Returns to What? Just cannot imagine the emotions and the mindset of all those involved in WW1 – how it started, how it endured and how it ended. A “wake-up” chapter to remember that time in history. And all the issues that are glossed over in school History. Poland and Germany!